Update: Symposium Schedule and Abstract Booklet are online! See below. 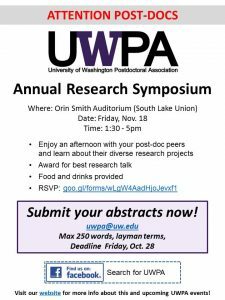 Join us at the annual UWPA Research Symposium! 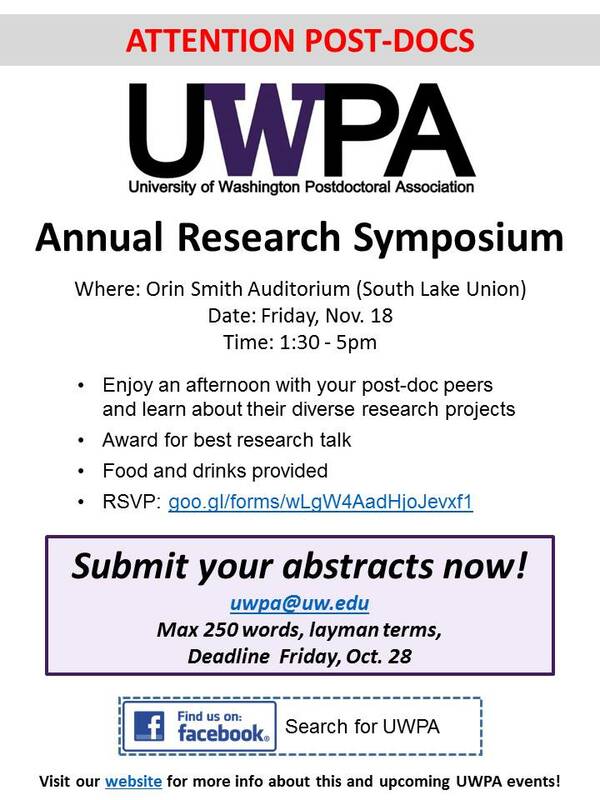 Enjoy an afternoon learning about the exciting research of your post-doc peers across the UW system! Food and drink will be provided, and there will be also be an award for best research talk! Panel presentation on “Preparing to be a T-Shaped Professional” led by former PhDs and post-docs! How do wildfires affect air quality in the Pacific Northwest and global? Do dams increase downstream river temperatures? What makes mosquitoes attracted to Platanthera orchids?